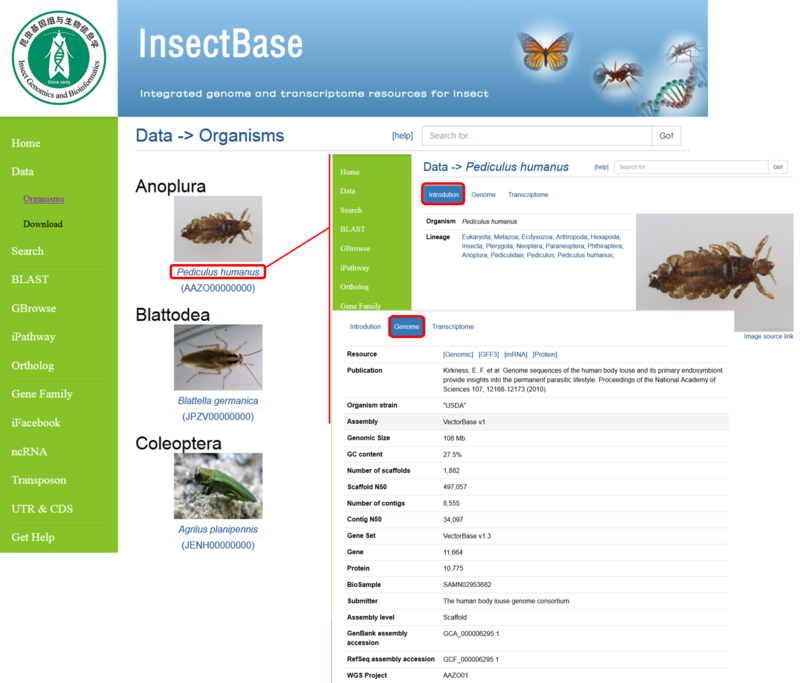 InsectBase is an integrated and comprehensive database of gene information in insects. It collects genome of 155 insects and transcriptome of 93 species. 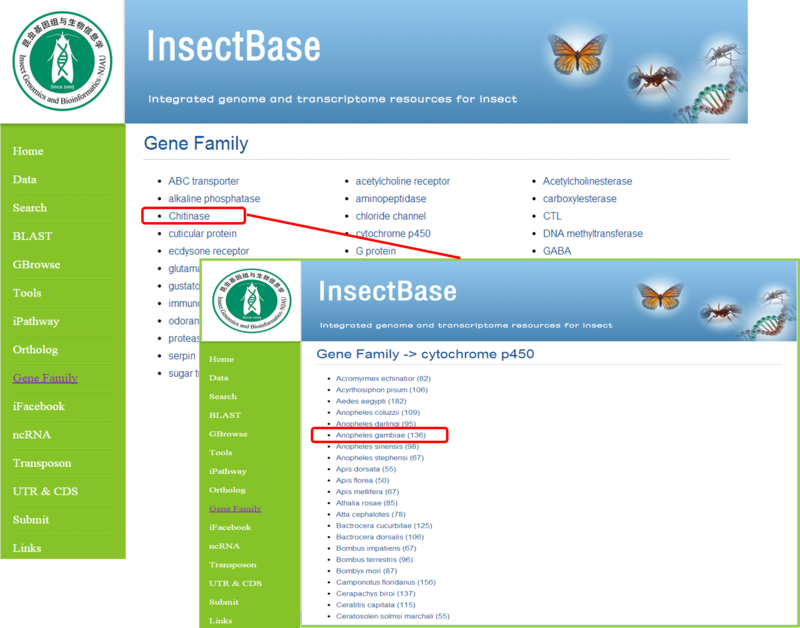 In the home webpage, you can search the gene sequences by keywords of species, gene name and pathway. Quick blast provides a convenient homology searching for sequences, which can also be carried out at tools->blast. A more detailed description see the search, blast modules. 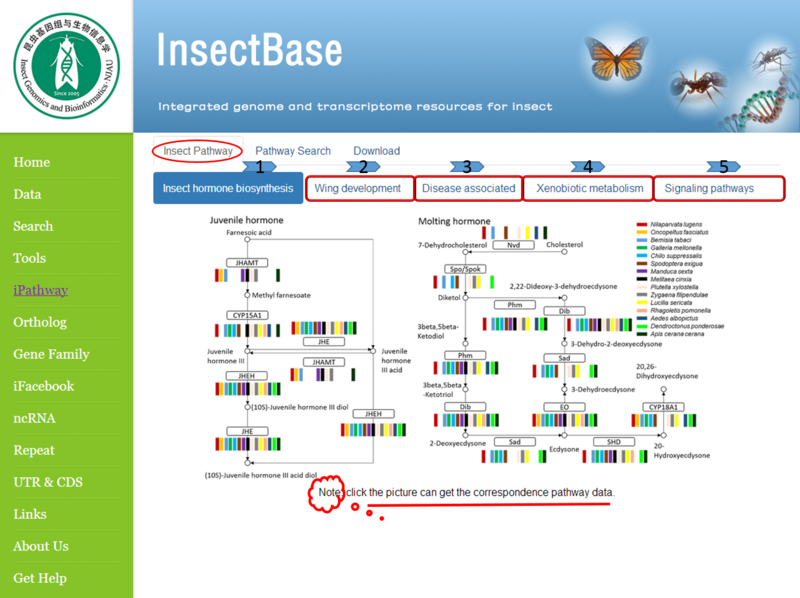 Right side is genome and transcriptome map in the number of insects order. Data contains organisms and download. 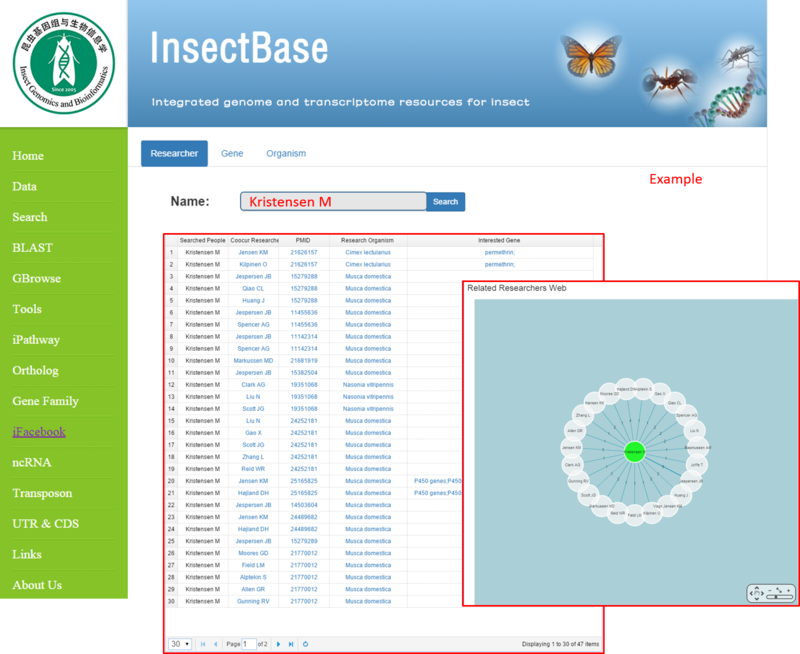 Organisms lists all 155 insect species from 16 orders, whose genome sequences are available in InsectBase. First, click the ' Data -> Organisms ' lab. The following webpage will appear. 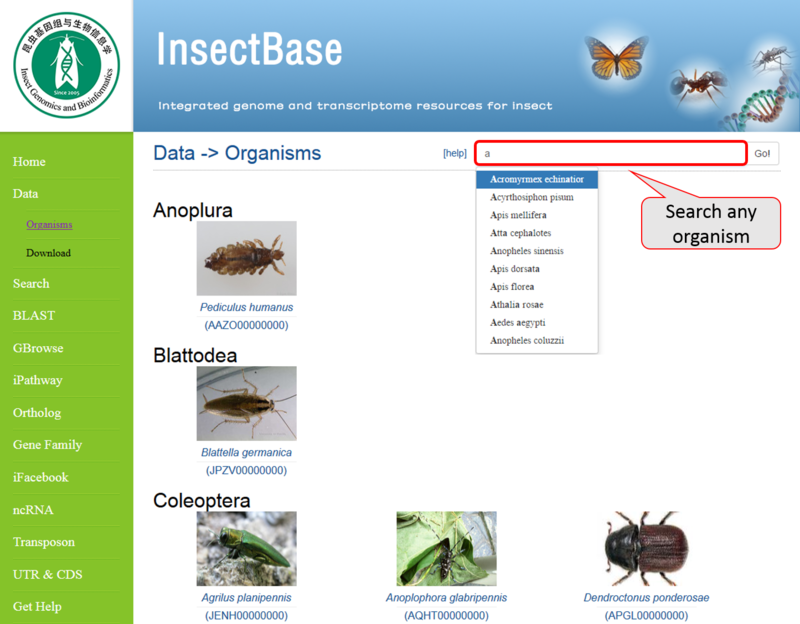 You can also quickly search for the species in the search box red marker. 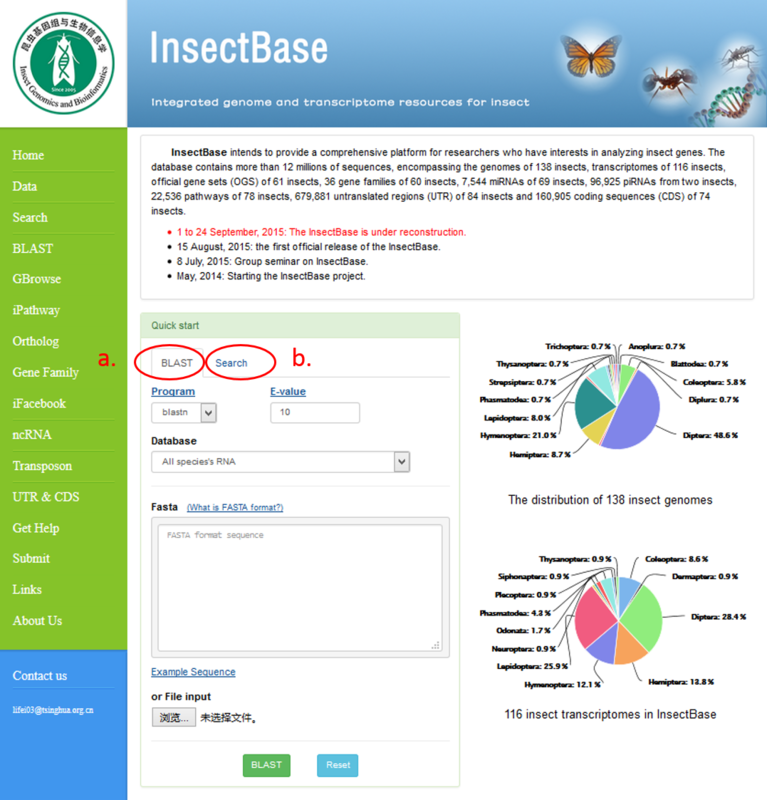 Click on the name of species, you can see a brief introduction of the insects and the genome. 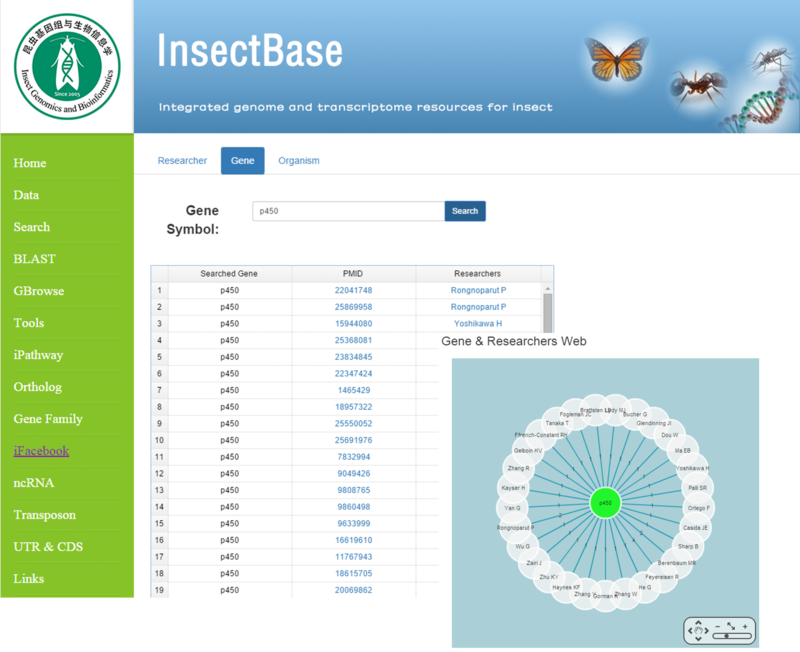 Download contains the genome sequences of 155 insects and the 116 transcriptome of 93 species. First, click the 'Data -> Download' lab. Genome, transcriptome, EST data can be downloaded. You can also use ‘ftp site’ open. Firstly, Let's click genome. We mark the contents of files in different file contains. Secondly, we classify the transcriptome by mesh. Number after the species name indicates the number of contained transcriptome, click the name of the group can see these transcripts. Similarly, you can download them. Meanwhile, EST and transcriptome with the same representation. 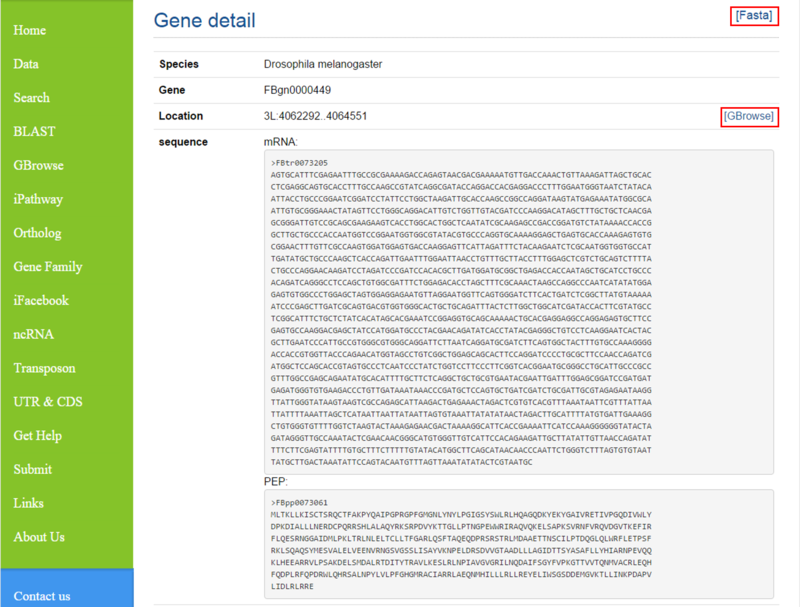 You can search the gene information by using keywords of gene name, transcriptome, pathway genefamily and ortholog. 1. Select the search. gene name, transcriptome, pathway genefamily or ortholog. 2. Enter what interest you. Click “ advanced ” button will appears more specific options. In FBgn0000449 example, Gene detail are the follow. 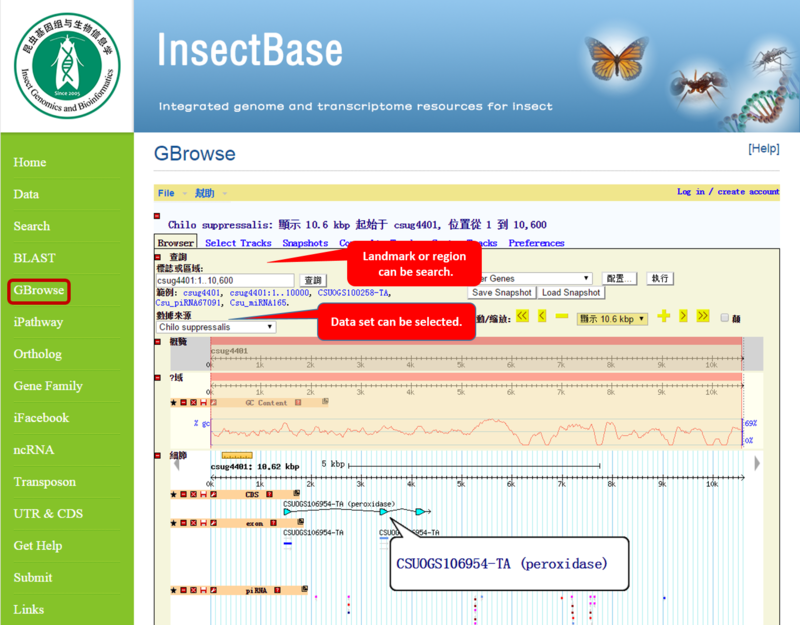 You can download sequence, and Browse gene information by GBrowse, and information in other database about the gene. Like the most commonly used software BLAST. 1) Select a program. 2) Determine the parameters of e-value. 3) Select a dataset.4) Input your sequence or file. And then “ Blast ”. The results page will be displayed. 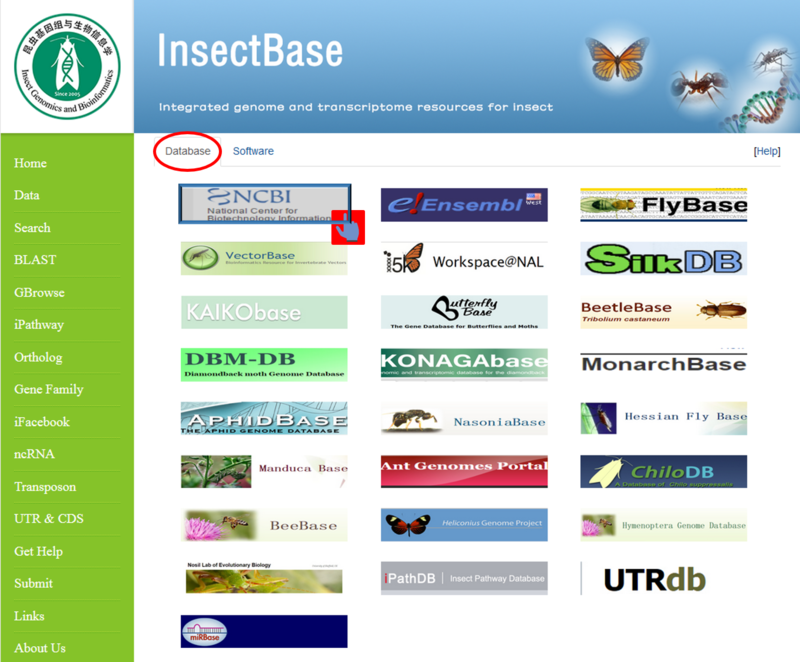 The database provides pathways information of 52 insects. Among these, pathways of 37 insects are constructed from the official gene set of the genome, and 15 insects are from the transcriptome data. Both the gene lists and the KGML format files of the pathways are provided. 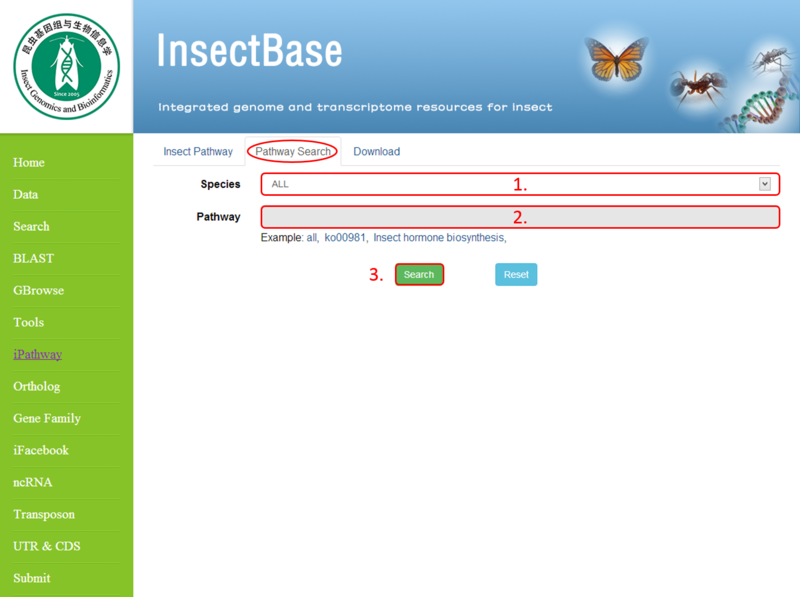 In total, 12,111 pathways for different insects are included in the database. 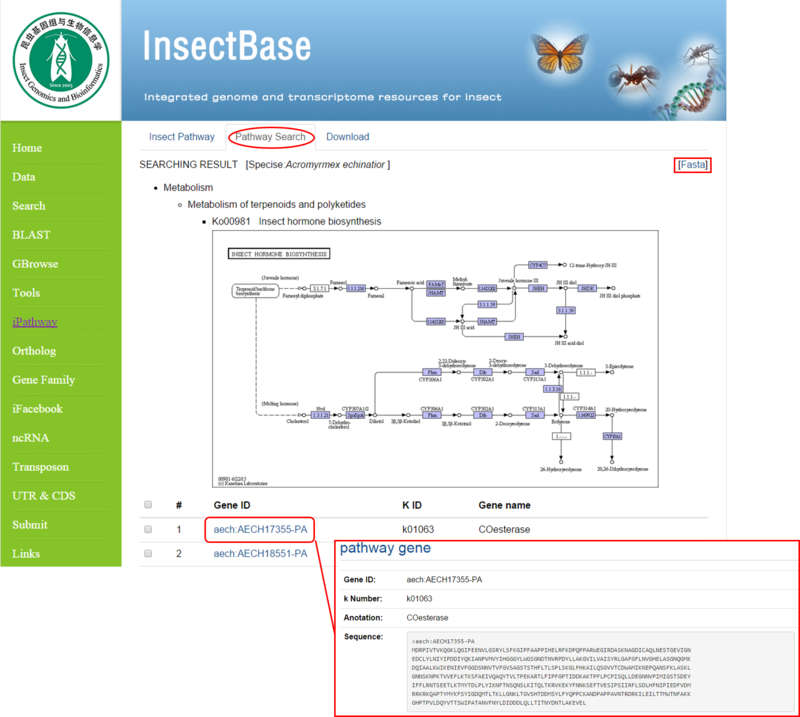 In addition, the database provides online service for constructing pathway using transcriptome. 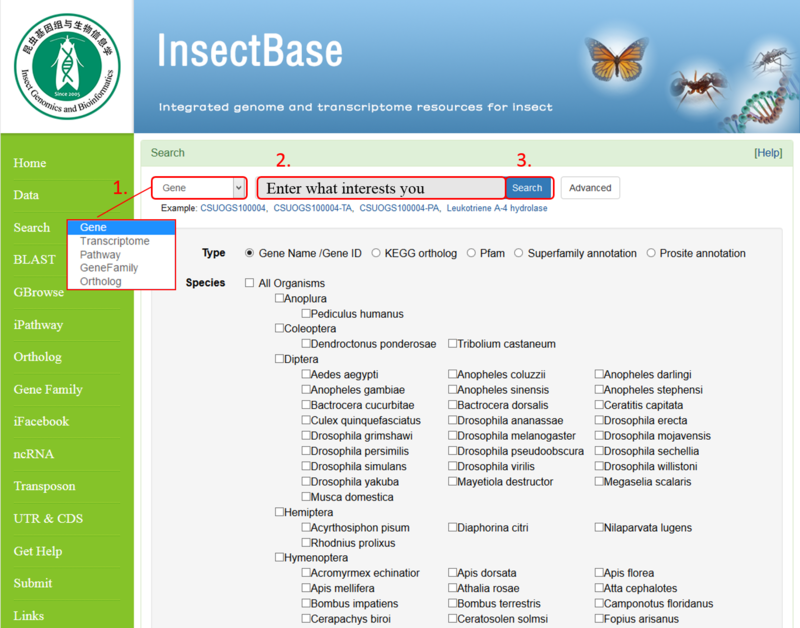 iPathway include Insect Pathway, Pathway Search and Download three modules. 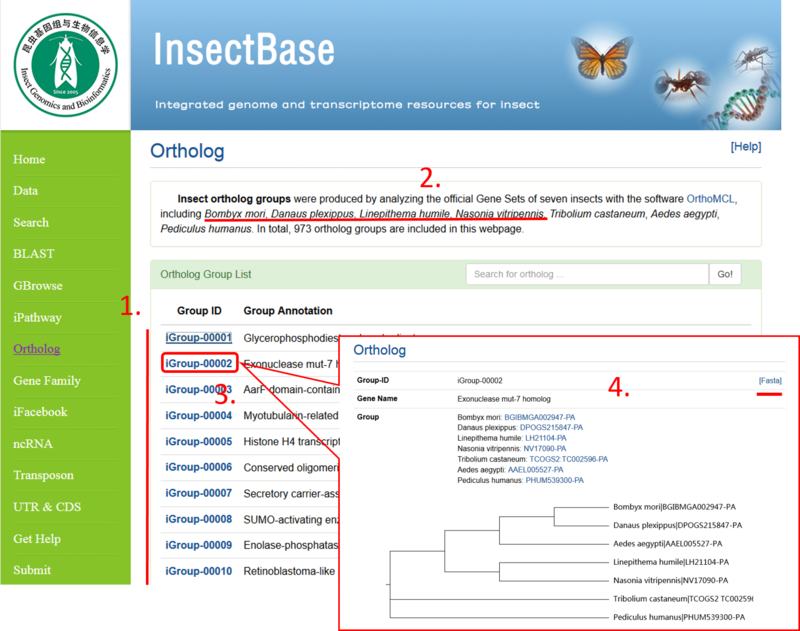 Insect Pathway with the figure or in the form of a table shows the five modules pathway (Fig tagged 1-5), with particular attention notes that can help you download the pathway data. 1) Select the "species" in the text box. And then find the species name that you want to search. 2) Input a pathway which interests you. 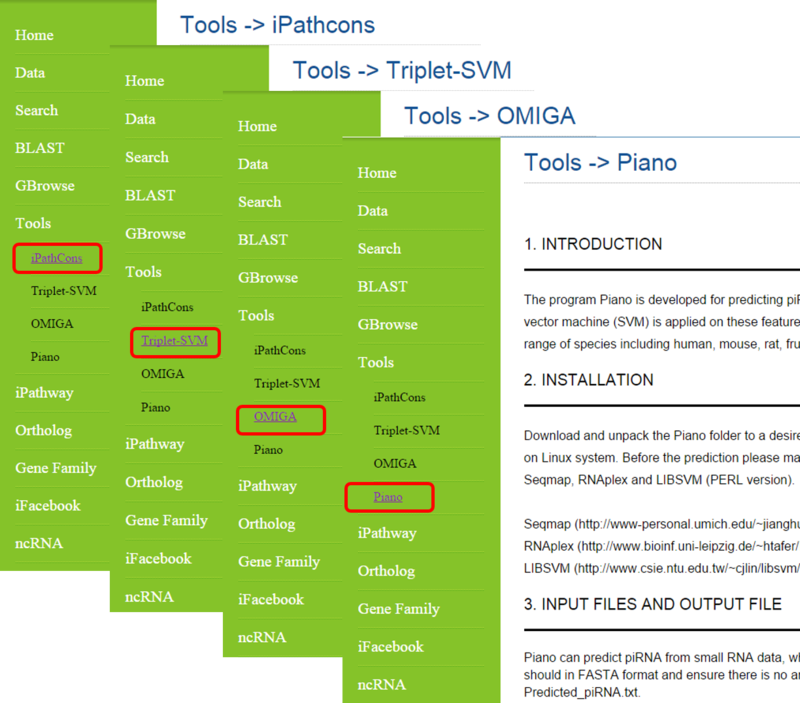 The search results page contains the pathway map and the sequences, which can be downloaded by clicking “ Fasta ” button. 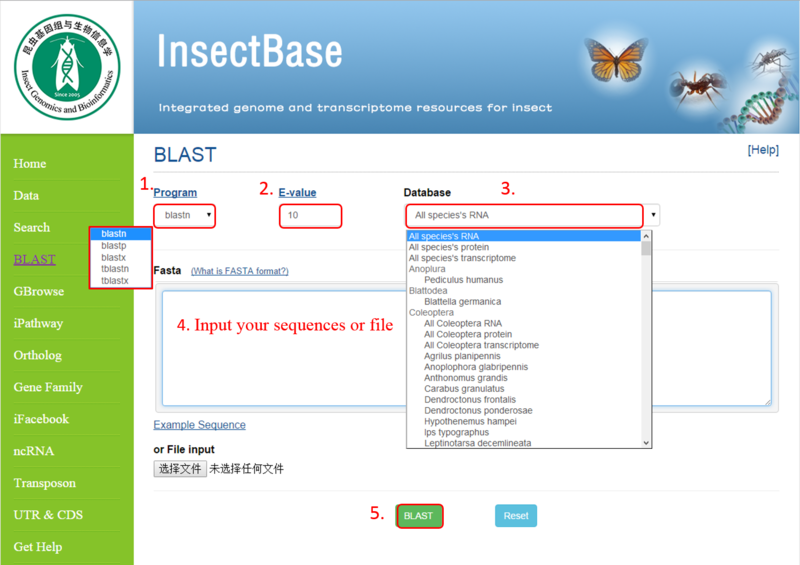 Last, the sequence display webpage is showed after clicking the gene id. 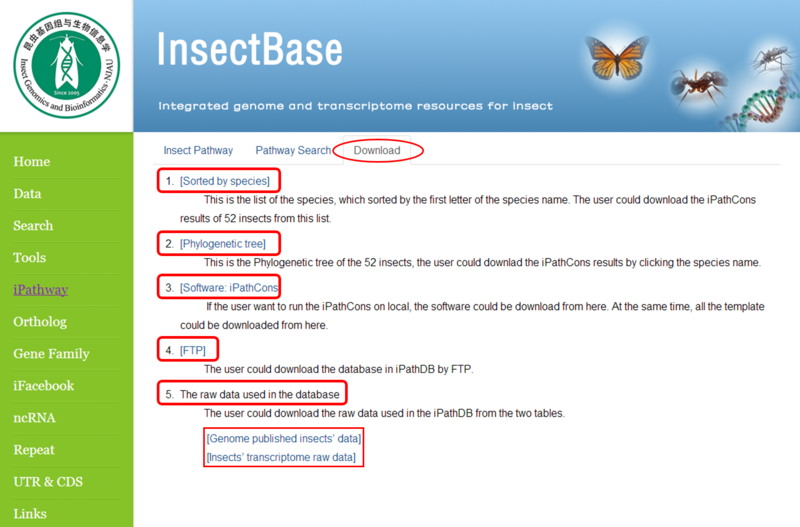 We provide two ways to download the pathway information in iPathDB. Firstly, the species were sorted by fist letter of the species name. ("Sorted by species"). Secondly, the species were sorted by phylogenetic trees. 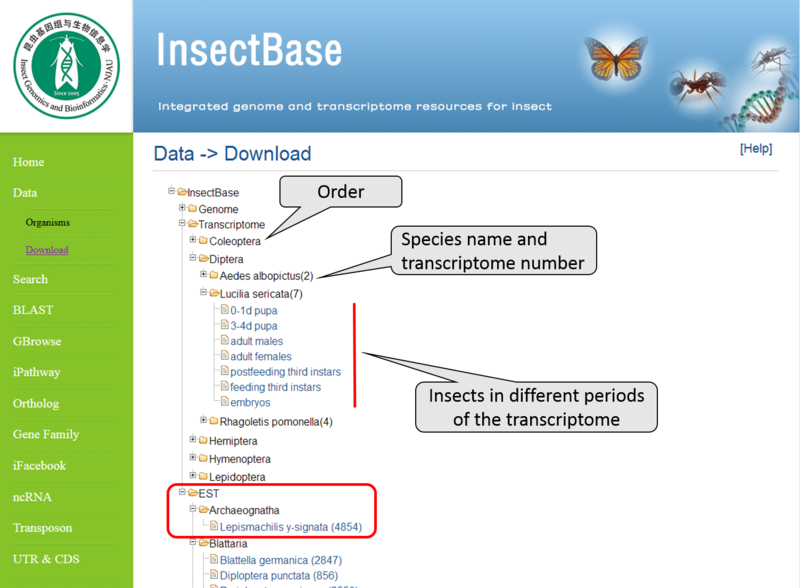 Click the species name in the tree and you can get the package of pathway annotation files for the insect. (Phylogenetic trees). The user can download the software of iPathCons, by click "[Software: iPathCons]". Thirdly, the FTP server was provided. The raw data used in iPathBD could be found with the URL in the Table S1 and Table S2. We insect genome comparative analysis, to find orthologous genes, and these genes are grouped. 1, Group express our orthologous genes, numbered. 2,List of species contain ortholog. 3, ortholog, Click on it will jump wepage (Mark4). 4, a brief introduction of the ortholog. You can also click on ‘ fasta ’ button to download sequence. 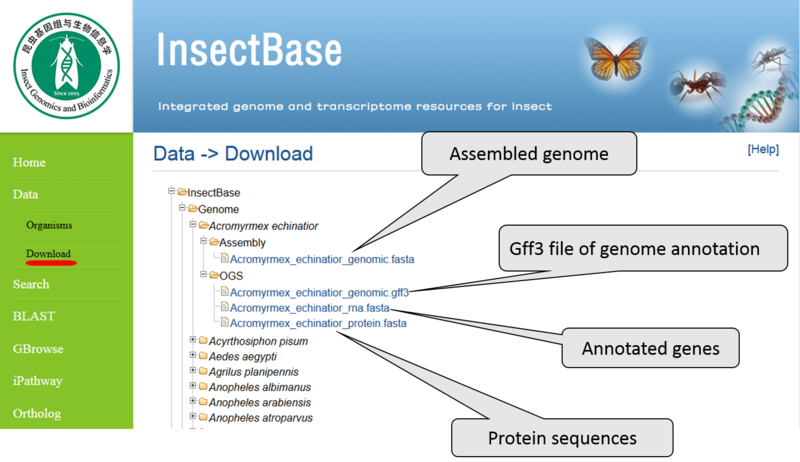 Gene Family: we analyzed the 37 gene families from 55 well-annotated insect genomes. The sequences of these 37 gene families were provided. The evolution trees of some gene families were constructed and presented. 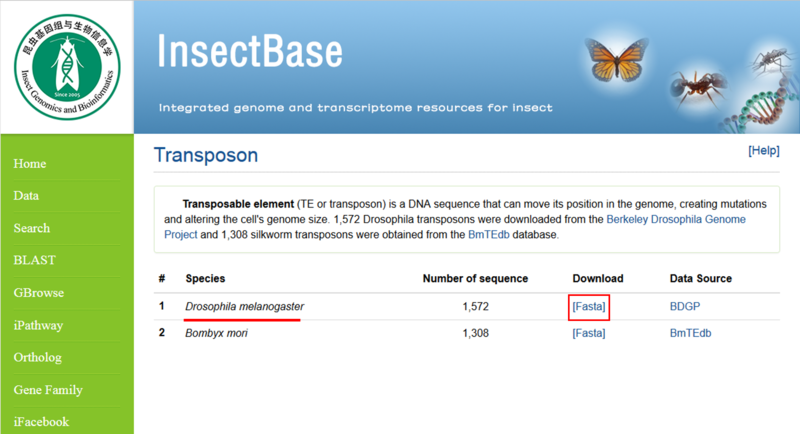 Click on the name of the gene family will jump species of insect genomes have been annotated all of the family genes. 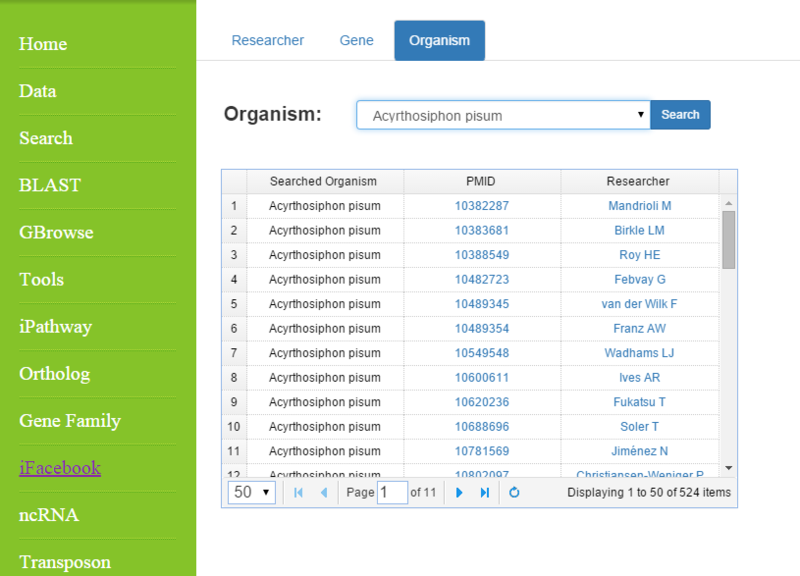 After the species name is the number of the species gene family, You can also click on the species name to download. iFacebook is a social network platform for entomologists. More than 40,000 references were collected from the insect-related journals. The authors and their affiliations of these references were extracted and constructed a primary network. When a gene or an insect species were searched, iFacebook provided researchers and the groups studying on it. We welcome entomologists to register iFacebook and connect with their colleagues. Enter a name researchers, the following result which includes searched people, Coour researched, PMID, research organism and gene will appear. At the same time, a Related Researchers Web was drawing out. When you enter the name of a gene, its references and researchers will be listed. 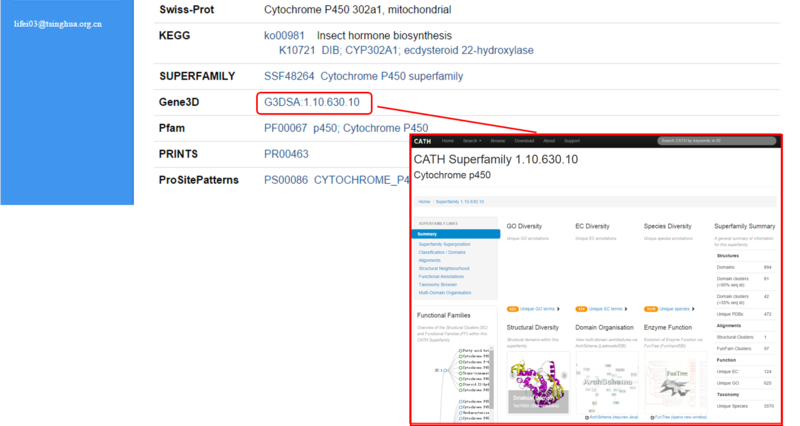 Similarly, it will also use a Gene & Researchers Web diagram displayed. 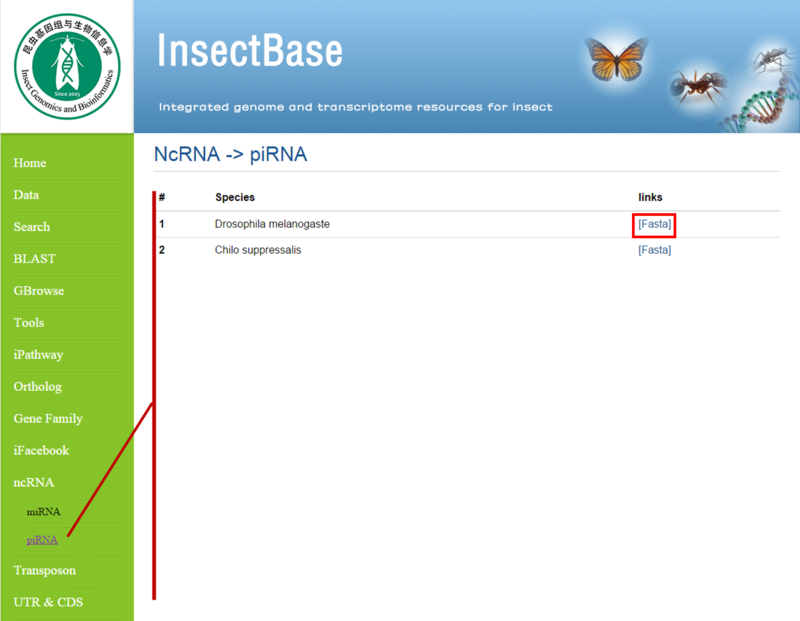 Noncoding RNA (ncRNA) were collected from several databases including miRBase, NONCODE, NCBI, etc. We also predicted miRNAs from 54 insects using homology-based searching method. miRNA shown as insect-mir and mir-family. 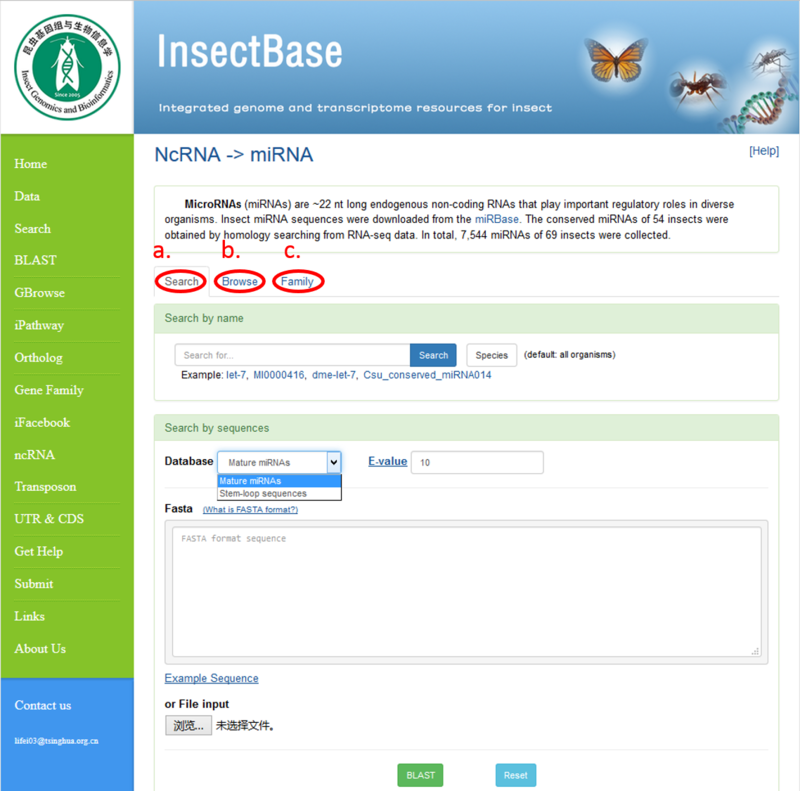 Click miRNA appears all species insect-mir, inside parentheses indicates the number. Click on 'Precursors', 'Mature' button to download the corresponding data. Select ‘ mir-family ’ different mir-family occurs, you can download them. Piwi-interacting RNA (piRNA) of Drosophila were collected by reference mining. The piRNA of Chilo suppressalis were predicted by Piano. Repeat contains a transposon sequences of Drosophila melanogaster and Bombyx mori. Click the species name to download the data. 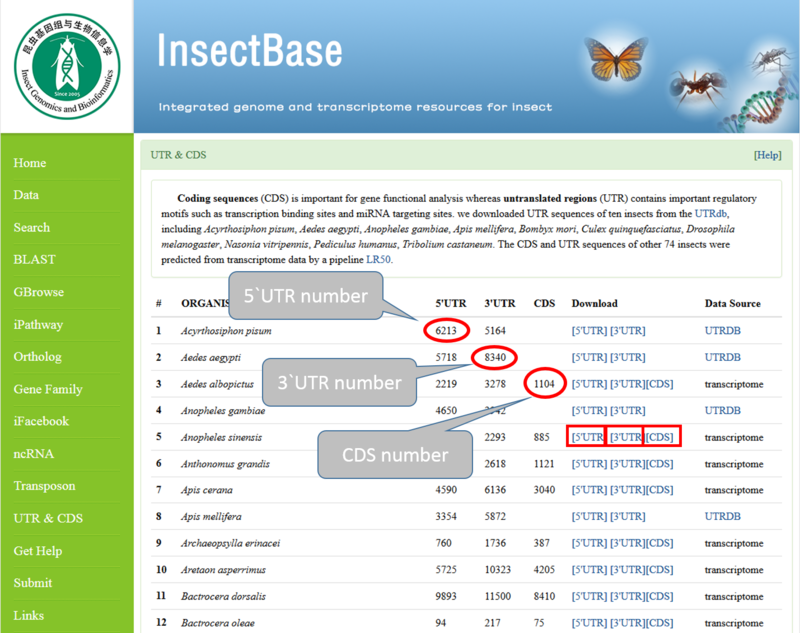 Untranslated regions (UTR) and coding regions (CDS) were obtained by analyzing the transcriptome of 93 insects. 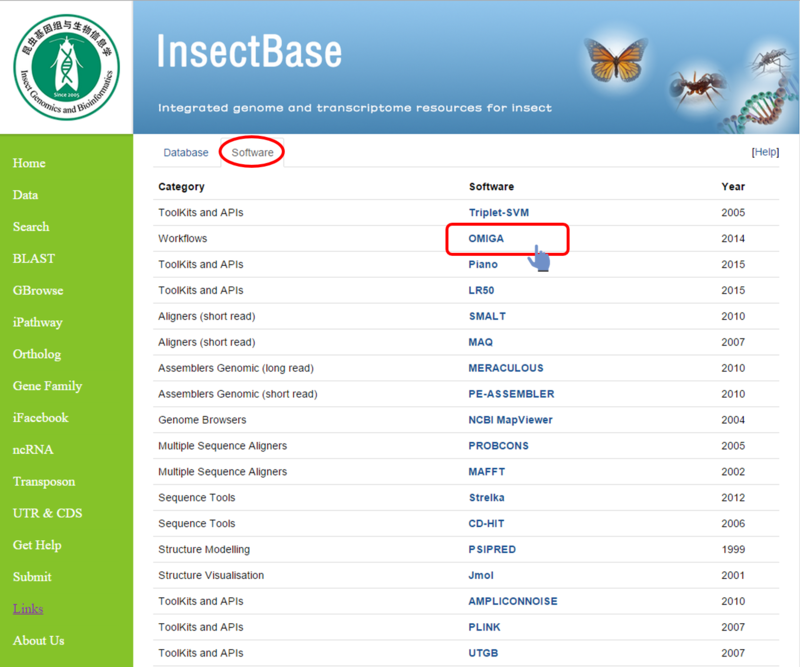 You can click on the red box behind the name of the species download all the sequences. Contains UTR and CDS. 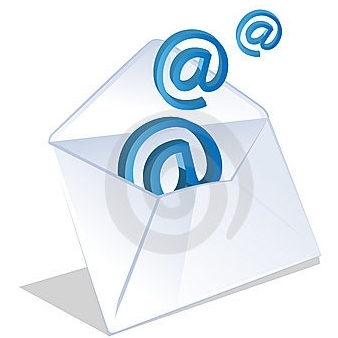 Links to other useful sites are listed for scientific analysis. You can click on the site icon to enter the appropriate home page. At the same time, we have listed some sequence processing related software, and the software classification, indicating year of publication. You can click on the name of the software into the corresponding software homepage. Please send us your questions, comments and suggestions.